We understand our training about the tools we sell as a key stage for professionals, in order to get an optimal implementation and usage of these tools. We keep seeking new technologies for the R&AC service trade. Thus, we perform periodically technical workshops and seminars to introduce these novelties to the professionals in a technical and practical way. 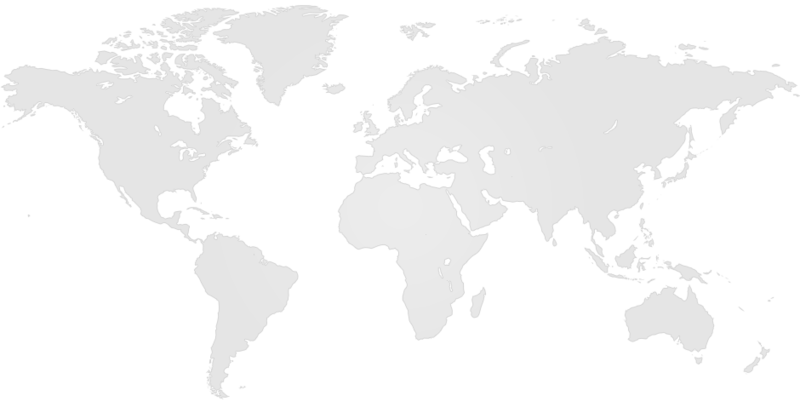 Also, we gather engineers from different countries for 4-hours-webinars, in which we walk deep into our tools, show case studies and open a bustling debate. 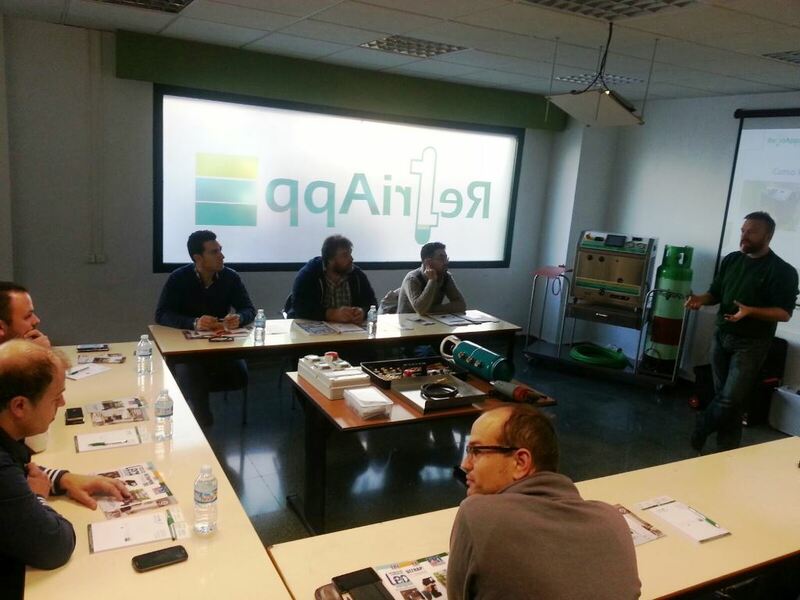 Theoretical and practical training course for cleaning R&AC circuits. 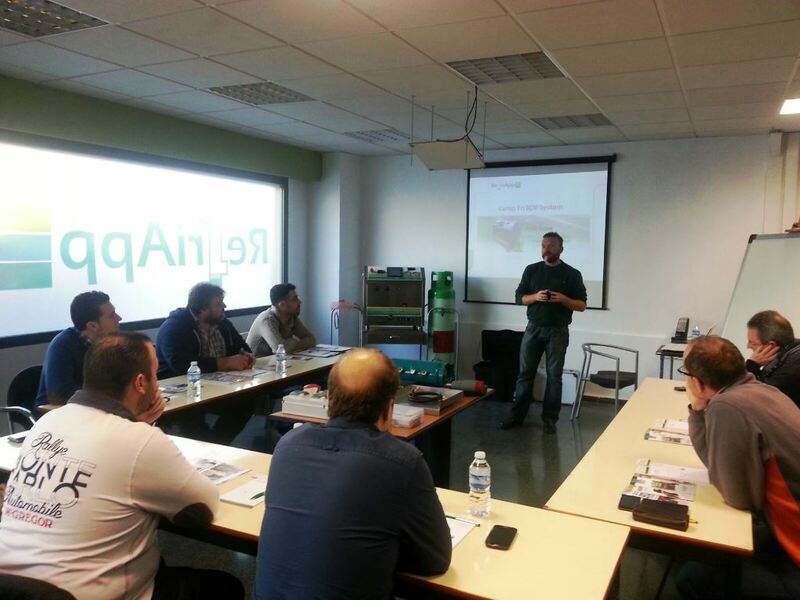 RefriApp offers training courses specifically designed for the professionals according to their needs. We adapt the characteristics of the course (subject, level scenario, timing, number of students, etc.) and We teach on client’s own facilities for their convenience. Fill out the registration form to book the different trainings that RefriApp offers, or just if you would like to know more details about our training proposals. REFRIAPP SL, hereinafter “the company” is the owner of www.refriapp.es Website (hereinafter the “Web Site”), established entity: Polígono Industrial La Juaida. Calle Sierra Alhamilla, 47. 04240. Viator (Almería) and CIF number B04765400. a) All personal data provided to the company will be treated by it in accordance with Law 15/1999 of December 13 Protection of Personal Data and Royal Decree 1720/2007 of December 21 and will be incorporated into the USERS oF tHE wEBSITE, file created and maintained under the responsibility of the company, which has been duly registered with the Spanish data Protection Agency. b) The data are collected for the following purposes: To ensure the proper management of the services or products requested (i) management, study and resolution of queries and (ii) delivery of advertising and commercial by electronic means, about the company, its activities, products and services, as well as documentation of various kinds. c) the collection and processing of personal data have been taken adequate security measures to avoid loss, unauthorized access or manipulation thereof, in accordance with the provisions of Royal Decree 1720/2007 of 21 December. d) The Company is committed to protecting the confidential information to which it has access. The company does not use in any case the personal data that you put at your disposal to provide services to third parties other than those referred to in paragraph b) hereof or, if necessary, to achieve its own merits. e) The User certifies that are older than 14 years and therefore has the necessary legal capacity to provide consent regarding the processing of personal data and all in accordance with the provisions of this Policy privacy. f) The user may at any time exercise their rights of access, rectification, cancellation and opposition of their personal data and the right to withdraw consent for any of the purposes mentioned above, sending COMPANY duly signed letter to our address postcard shown above, where clearly stating contact details, which must be accompanied by photocopy of DNI / NIF or document proving their identity. g) The user authorizes the automatic processing of personal data provided in the terms indicated. To do this, press the “SEND” button is behind the data collection form. El sistema de limpieza de circuitos frigoríficos, único en el mercado mundial. Fri3Oil System el único sistema de limpieza de circuitos frigoríficos del mercado mundial 100% eficaz. Este sistema, registrado en exclusiva por RefriApp, permite la eliminación definitiva de los aceites, ácidos o agua de cualquier sistema frigorífico, que use gases halocarbonados, y el reciclaje de estos mismos gases. Fri3Oil System originalmente fue desarrollado para la limpieza de aceites, ácidos, humedad, y demás residuos, cualquier instalación de refrigeración o aire acondicionado, que utilice gases refrigerantes halocarbonados: CFC’s, HCFC’s & HFC’s. Fri3Oil System es la mejor compañera a la hora de extraer agua de un circuito frigorífico. Indispensable para la limpieza y secado de un circuito. Descubre el catálogo de Fri3Oil System con todas sus características técnicas. Conoce cómo formar parte de la Familia Fri3Oil System. Accede a la información de nuestros cursos especializados Fri3Oil System. Únete a nosotros en la página de Fri3Oil Sytem en Facebook . 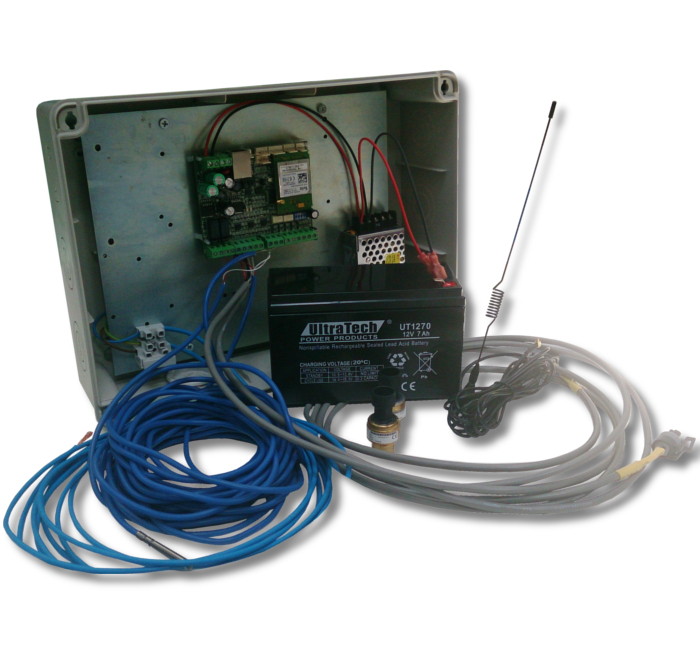 The electronic remote system to detect and control refrigerant leaks on HVAC&R installations. Product property of RefriApp and Al-Won companies. The LECOsystem system provides a total solution to the needs of control and detection refrigerant leaks in commercial and industrial refrigeration facilities. LECOsystem uses the fundamentals of thermodynamics, monitoring the installation, in specific operating ranges depending on the type of refrigerant used. In case that the deviation of the operation of the installation is detected, regarding refrigerant thermodynamic curves, the system generates a local alarm and notify by mobile the situation for immediate intervention. LECOsystem accomplishes the requirements of the R.842 / 2006 regulations. 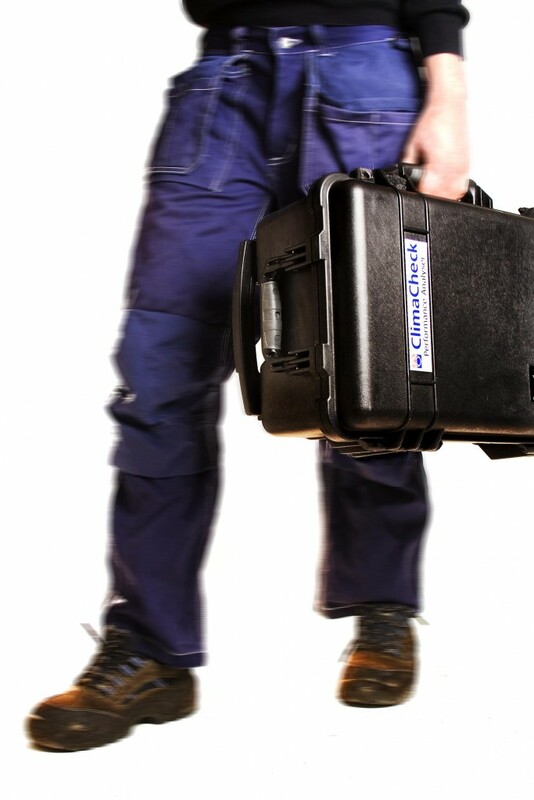 It is the first commercially available that actually facilitates the detection of refrigerant leaks minimizing their release into the environment in all applications of refrigeration and A/C. LECOsystem offers a number of significant advantages in performance. Easy programming via mobile phone. Full control of the refrigeration system. Immediate or timed alarms notification. Connection with coordination center to take action and storing historical incident. 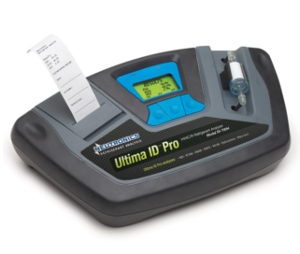 Complies with R.842 / 2006 on the control and detection of refrigerant gases. 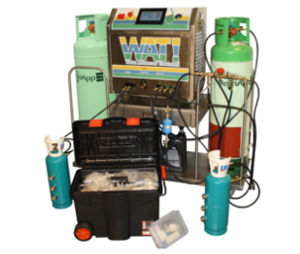 Specially designed to dectect refrigerant gases leaks in Refrigeration Systems. Supervision of any industrial facility through its digital inputs associated with SMS alerts. You can see, by clicking on next tabs, the major functional features of LECOsystem. LECOsystem bases its operation on a control system. The system monitors the pressure and reheating temperature and, when necessary, the temperature and pressure of subcooling. These checkpoints are specified indicating the type of refrigerant and the expected superheat and subcooling. When they leave the specified range, the system generates an alarm. Local: performing one of the existing relays in the unit which can operate a siren, warning light or any other device installation. Remote: sending alarm messages to up to two users and alarm receiving center. 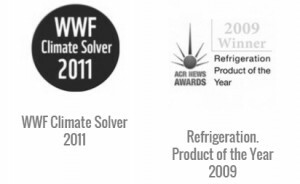 It integrates virtually all commercial refrigerants. It allows the leaks detection of loss of coolant through the supervision of overheating or subcooling the refrigerant circuit. Each checkpoint the refrigerant circuit is configurable. User: sending alarms to two mobile phones user. CRA: sending alarms to a central station. (4) digital inputs associated with alarms. The inputs and outputs are delayable. 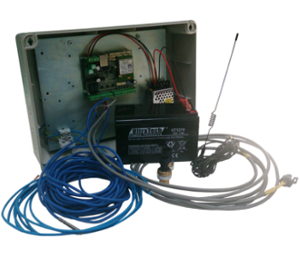 SMS alarms are linked to the inputs and messages can be configured for both the central monitoring station to the user. Sending SMS messages to the unit. Linking output activation to activation of the inputs. Accomplished with 842/2006 for control and detection of refrigerant gases. Food from 12 Vdc to 30 Vdc with battery backup of 12 Vdc. Communication mode: SMS / GPRS (GPS version). Coolant Leak center: by controlling the supercooling point, overheating, comparison of temperatures. Air Conditioning Systems: applicable to units: cooling only, heat pump, inverter, VRV, Centrifuges. Refrigerants: HCFC: 22, 123, 124, 134A HCF: 236fa R401A, R401B, R402A, R402B, R407C R404A, R410A, R507, R413A, R422A. Digital Inputs: 4, General Purpose and associated events. Digital outputs: 2, activated remotely and by DI. Activation occurs via SMS. Analog inputs: 6, 0-5 Vdc voltage. 3 for temperature probes. 3 for pressure transducers. Access passwords: by password to CRA and User. Alarms: sent by SMS to the central station and the user. Alarms are programmable. Configuration parameters: Thermodynamic Cycle, Limit Test Module SMS daily. Frequency of sending test: no test, hourly, daily, weekly, monthly. SMS limit daily: unlimited, 5, 20, 50 and 100 SMS. Connectors: 1 x Antenna 1 x GSM SIM card. 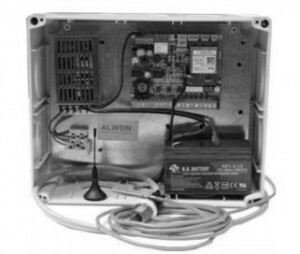 Signaling: LED front for connection to GSM / GPRS network and state of inputs / outputs. Compatibility with CRA: Use ContactID Protocol. 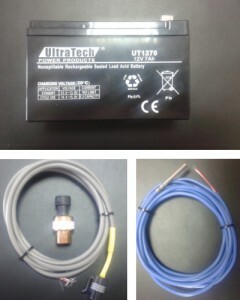 Supply: 12-30 Vdc With Battery 12 Vdc 1.3 A. 12 hours of autonomy. Consumption: 12 Vdc: 35 mAh at rest. 150 mAh GPS running. Dimensions: 244 x 194 x 96 mm. Placing the probes in the refrigerant circuit and the pressure transducers. Inserting the SIM card in the Lecosystem unit. Connecting the rest of the alarms of the facility to the module. SMS to the central station. Send text messages to the central station and users. 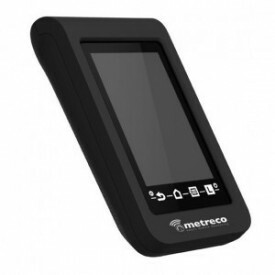 PBX with GSM communication module (1.5). Discover LECOsystem catalog with all its technical characteristics. Information regarding LECOsystem training courses. For more information visit the Al-Won official website. 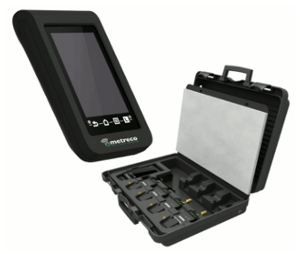 The portable ultrasonic leak detector & valve tester for saving energy, time and money. 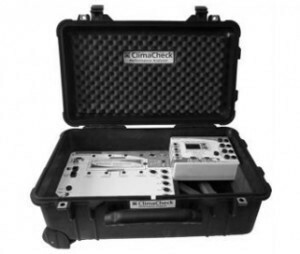 It is a practical tool for any leak detection, steam trap inspection or troubleshooting program. Thanks to the agreement between UE Systems and our company, RefriApp exclusively offers Ultraprobe 100R&AC market. Refrigerant leaks, besides an environmental problem, involve a huge loss of profitability in refrigeration plants. The high cost of refrigerants requires a prompt and an effective detection in order to ensure, today more than ever, the survival of companies in the HVAC/R sector. 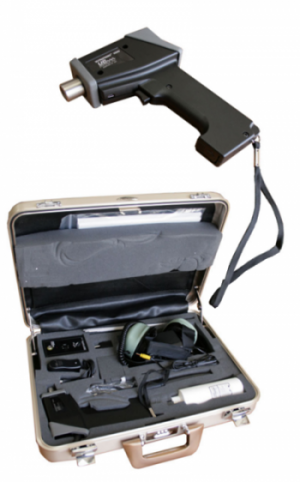 Ultraprobe is an ultrasonic receiver, which can detect and locate any high frequency sound. Ultraprobe 100 R&AC is a special Kit for refrigeration and air conditioning industry which can detect turbulences produced by a gas leak. 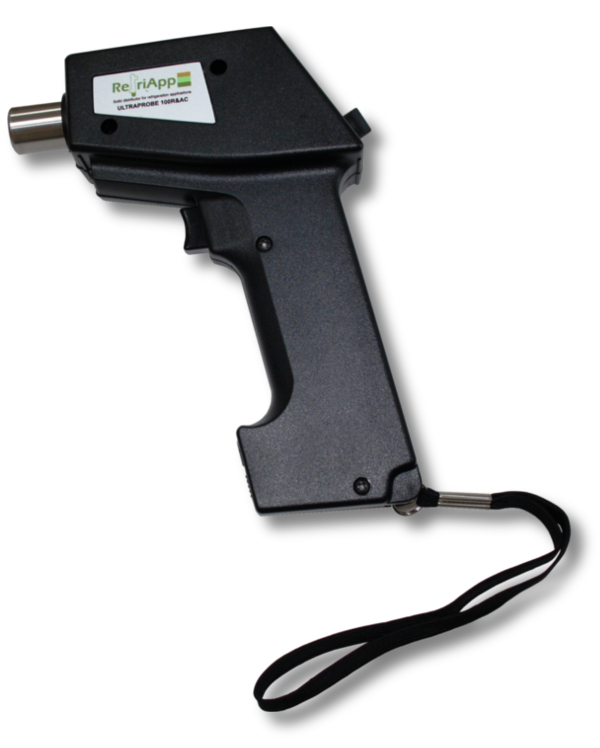 This tool is ideal for locating refrigerant leaks in very short periods of time, in minutes in most of cases, thus saving time and money to the installer. Ultrasonic technology Ultraprobe 100 R&AC allows an intelligent approach for quick inspection and leak detection. Ultrasound is very directional and localized. Ultrasound can be easily blocked or shielded. 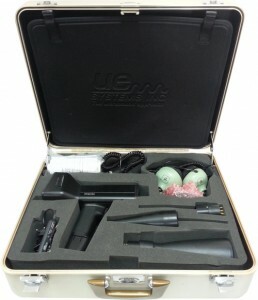 Ultrasound instruments can be used in noisy environments. Changes in Ultrasound provide early warning of potential problems. 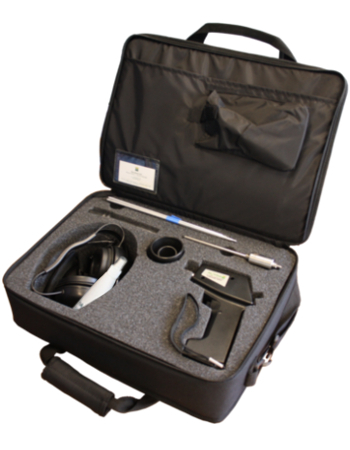 Ultrasound instruments are easy to use. Pressure Leak detection and vacuum. Leak detection in valve seats. Leak detection in heat exchangers, boilers and condensers. Leak detection in tanks, pipes, etc. Leak detection in compressors and pumps. 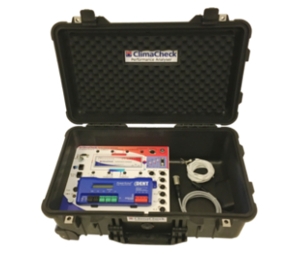 Ultraprobe ® 100R&AC+ is a special Kit for refrigeration and air conditioning industry which can detect turbulences produced by a gas leak. 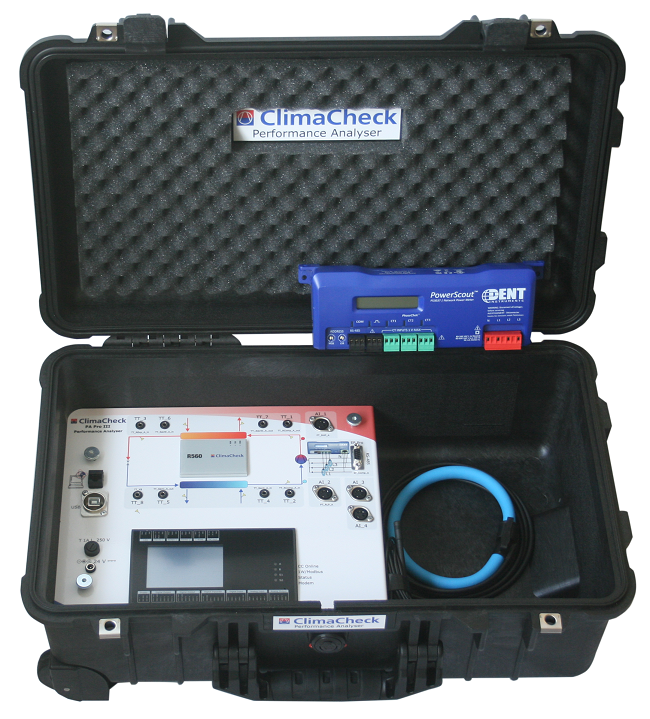 Ultraprobe ® 100R&AC is a special Kit for refrigeration and air conditioning industry which can detect turbulences produced by a gas leak. Medium and long range modules. 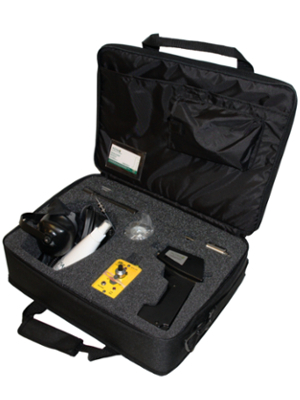 Ultraprobe ® 100R&AC Basic is a special Kit for refrigeration and air conditioning industry which can detect turbulences produced by a gas leak. For more information visit the UE Systems Inc. official website. Equipment for inspection and cleaning for circular and rectangular air supply and exhaust ducts and HVAC air handling and air conditioning units. RefriApp distributes this interesting product for the sector. LIFA AIR Ltd. is part of LIFA IAQ Ltd. group (founded 1988), which is a leading company in IAQ (Indoor Air Quality) business in the global scale. 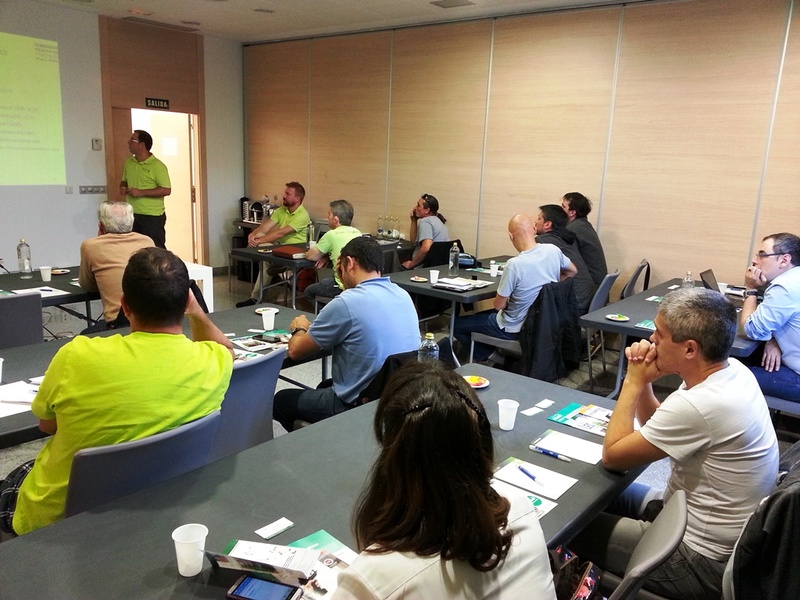 Today the slogan “Solutions for Indoor Air Quality” describes the range of our state-of-the-art products and systems. LIFA AIR has two main product lines: Ventilation Hygiene and Building Protection. 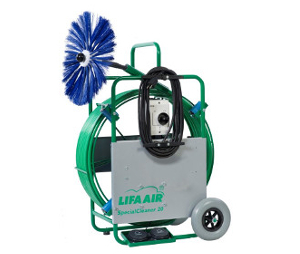 Lifa Air manufactures state-of-the-art equipment for inspection and cleaning of ventilation and a/c systems. Lifa Air improves the Indoor Air Quality of any environment by integrating mechanics, electronics and information technology. The Lifa Cleaning Concept consists of an evaluation procedure for estimating the need of cleaning and verification of the cleaning result, a mathematical model to select the cleaning brush and the cleaning methods of HVAC system. 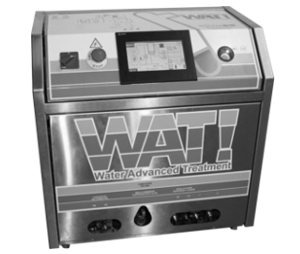 This ensures the best cleanliness result in minimum time and labour. 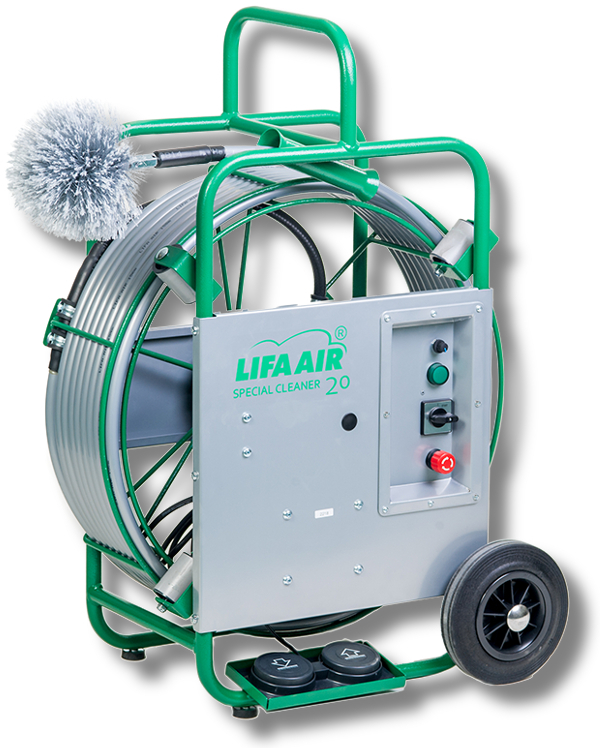 Lifa Air has a unique technology for cleaning rectangular ducts. All Lifa brushing machines can clean round and rectangular ducts. The machines have been developed by trial-and-error in the field during past 10 years and are therefore very durable and easy to service and maintain. 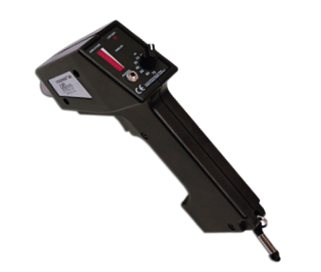 The rotation direction can be changed using the pneumatic foot control. Changing the direction of rotation enables the user to navigate the brush through bends in ducts. 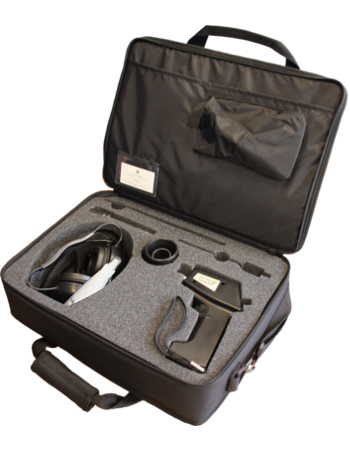 A video camera option is available for some Lifa cleaning machines. When the cleaning machine is equipped with a video camera, the user can inspect the efficiency and result of cleaning, view obstructions and check the automated steering devices via a TV monitor, during actual cleaning. The Lifa HepaClean negative pressure vacuum / air cleaners are designed and engineered for construction and renovation work and ventilation cleaning. They are also certified for asbestos abatement and removal of other hazardous dusts. 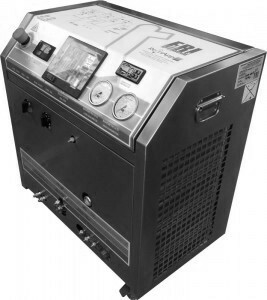 The machines are suitable for handling dry air containing dust such as asbestos, quartz, hardwood, mineral wool, microorganisms, mould and fungus spores, etc. The multi-stage filtration system is designed so that each filter can be easily and separately changed: this minimizes replacement filter costs and airflow restrictions, and maximizes filtration efficiency and dirt holding capacity. The machines are built form steel and best possible components in order to ensure maximum durability and to withstand decades of use. Discover Lifa Air catalog with all its technical features. Information regarding Lifa Air training courses. For more information visit the Lifa Air official website.